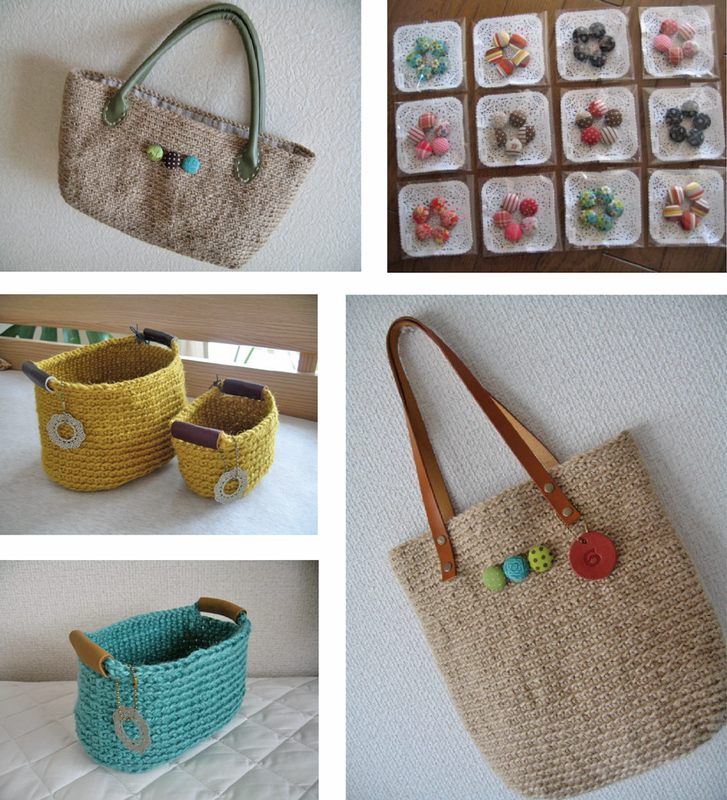 Really liking these handmade bags and storage baskets from artist/creator, Kyoko Sato. Found them on Japanese handmade market site, Iichi. The bags are posted as fine knit but the stitches look like crochet. In any case we love the colors, the leather accents and the fabric-covered button embellishments. Images: Courtesy of Kyoko Sato.